We invite you to a meditation retreat with the shakuhachi in a private zendō of sculptor Petr Kavan in the very heart of Bohemian Paradise. Inspired by the Zen sesshin schedule, we will experience four days of intensive playing and zazen. The organizers of the event are professional shakuhachi player Marek Kimei Matvija and sculptor Petr Kavan. Suizenkai is not a usual shakuhachi workshop. Its goal is to explore one’s spiritual practice with the shakuhachi called suizen. The base of this practice is robuki – group playing of the fundamental tone for 108 breaths. Other important exercises are dedicated to the deep listening to sounds of nature around the zendō. We will bring everyday to a close by a, so-called, ensōkai, by communal playing of the koten honkyoku pieces. Our suizenkai will be briefly visited by buddhist monk Robin Shōen Heřman, who will present his experience of rituals and spiritual practices at the holy mountain of Hiei near Kyoto. The monks in this area combine spiritual practice with highly demanding physical activity. The best-known part of this practice is described, for example, in this TV documentary. You will be accommodated in rooms for 1 to 3 people with shared bathrooms. 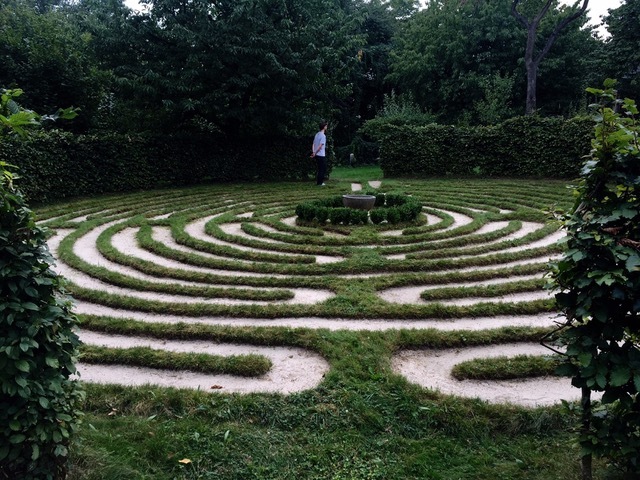 The site features Peter Kavan’s sculptures and a meditation labyrinth. Excursions to the Bohemian Paradise are possible in the area. To begin the suizenkai we will dine together in the evening of April 11th at 18:00. The suizenkai will end on Sunday, April 14 at 15:00.